Pure London, the largest festival of fashion in London taking place on 22nd – 24th July at London Olympia, is collaborating with Scoop to offer buyers a complimentary taxi service between the two shows. Doors open at the shows this Sunday and both are set to offer buyers an incredible line-up of brands. Pure London will offer visitors a festival of fashion – bringing together a strongly edited collection of over 700 global brands, including some of the best-emerging designers showcasing their latest collections in the UK for the first time; sustainable and ethical collections in Pure Conscious; and childrenswear in Pure Kid. 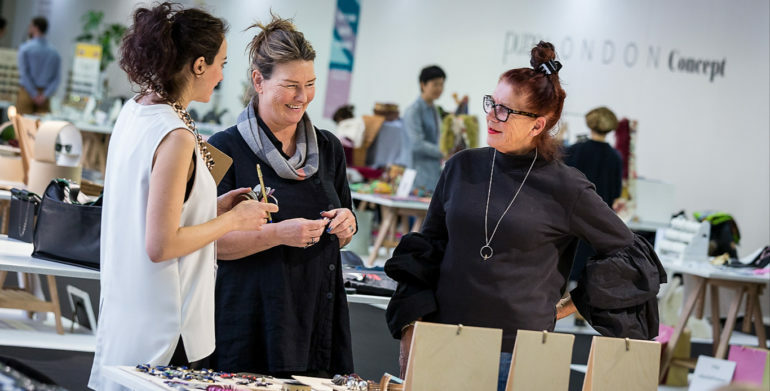 Sourcing and manufacturing show Pure Origin has grown this season and now includes a dedicated Denim area and a future Fabric Trends display. Exclusive SS19 future trend insights will be delivered by WGSN and catwalk shows, including Graduate Fashion Week winners and childrenswear, will bring the season’s key looks to life. The sun is rising over D’Arbly street in the form of new restaurant Ceru.